The discussion at the medical school last month was well attended by physicians, nurses, students and others interested in the art of compassionate medicine. It was an enlightening and energizing experience that reminded me of the important role surgeons have not only in the physical healing of our patients, but also in their emotional recovery. This is particularly true for the patients that I treat in the breast reconstruction part of my practice. During our discussion around the "art of medicine" and the importance of delivering compassionate care, we read excerpts from Cutting for Stone, by Dr. Abraham Verghese. In his book, Dr. Verghese warns the scientific details of medicine often overshadow the humanity of the patient, and emphasizes his belief that medicine is a uniquely person-to-person endeavor. I look forward to participating in future Osler Medical Society events! And I would encourage others to learn more about the Society and their mission by visiting their website or by asking me about it. 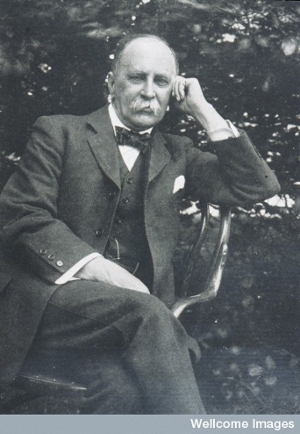 Sir William Osler (1849-1919), "The Father of Modern Medicine"